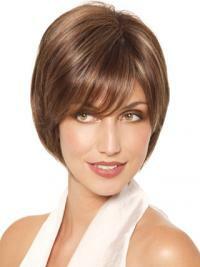 It is a short layered bob wig style made of Heat Friendly Synthetic Wig hair. 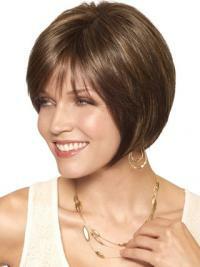 Featuring a soft angled cut and long wispy bangs make this style classic but sultry. 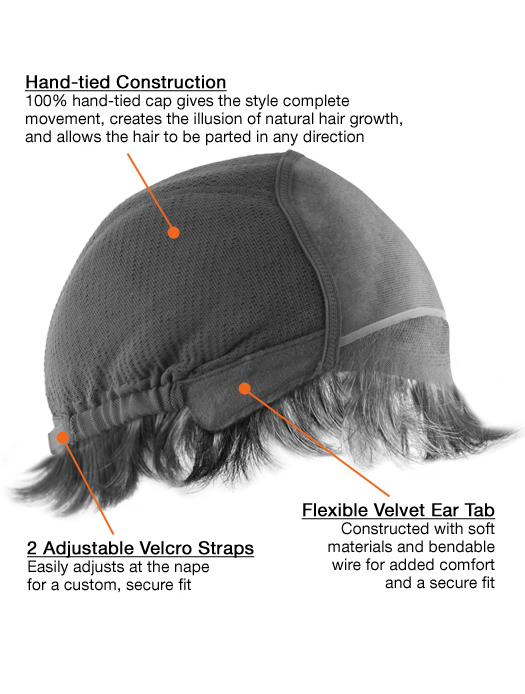 It combines a 100% hand-tied full lace cap construction made of a lightweight mesh, and a lace front for the ultimate seamless look. This wig definitely stood out. The length is slightly longer than the picture depicts. The texture is BETTER than the picture...everything about this wig is undercut in the picture above! The colour is gorgeous...I'm probably going to end up getting it. My skin is slightly fair, this was the FIRST brunette wig I've ever tried on that looked realistic. the stylist was also shocked by how real this wig looked. The cut is so convincing---this is the way it's "supposed" to be. I recommend it all the way! I have ordered this wig before. It is a good choice for everyday wear. 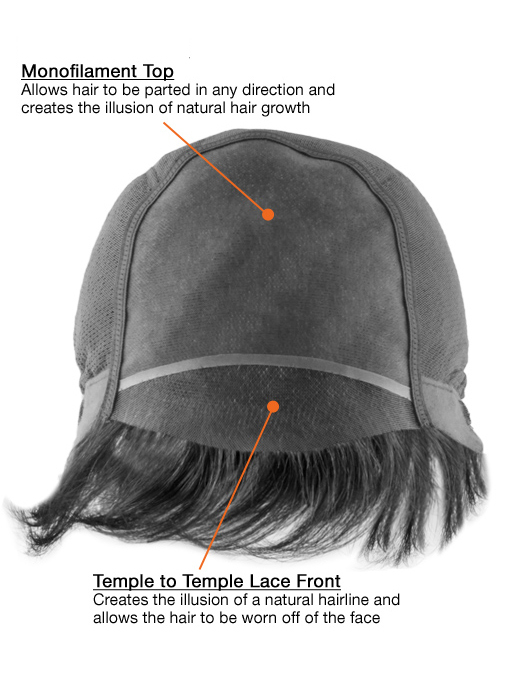 It is well made, full lace cap construction. It is a quality product, and is well worth the price. I have been asked lots of times, who does my hair and complemented on the highlighting too. Every time I wear this wig people stop me and tell me how beautiful my hair is. I bought it after chemo for breast cancer, and everyone thinks it's MY hair. I have it in Champagne and it looks very real. I have told people it was a wig and they look at me like I'm crazy, and literally ask me if I'm sure! So, be prepared to say thank you a lot, because you will get many compliments on this one!